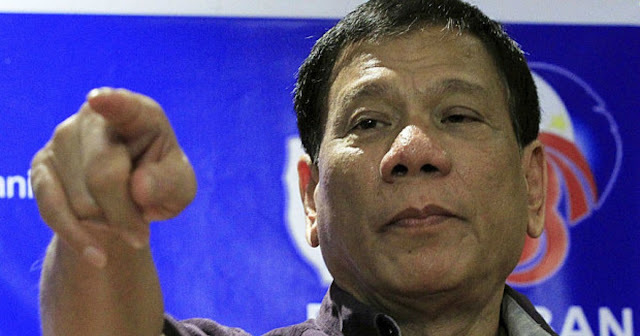 MANILA, Philippines- Presumptive president Rodrigo Duterte has revealed his concrete plans to instill discipline and restore public order and security during a press conference on Monday, May 16 in Davao City. The tough talking mayor of Davao City announced that he would impose curfew on minors and have parents arrested for minors breaking curfew. “The police should not arrest minors. They do not have the discernment of what they are doing out there. Arrest the parents instead,” Duterte said. In Davao City, where he served as mayor for 7 terms, a similar ordinance was imposed. Under the ordinance, minors or those below 18 years of age are prohibited from loitering the streets between 10 am to 5 am unless accompanied by parents or a guardian of legal age. According to Duterte, the village captain will be assigned to coordinate with the police in identifying and arresting the parents. Duterte also disclosed his plans to strictly implement a liquor ban on public places. Similar to the curfew for minors, a local legislation in Davao City bans drinking of alcohol in public places. Although these was initially frowned upon by many business owners of drinking establishments in the city, the liquor ban has become widely accepted in Davao City. While Duterte didn’t lay out definite plans regarding late-night karaoke sessions, he said local officials have crucial roles in eliminating such practice. A ban on late-night karaoke sessions was implemented in Davao City after Duterte received complaints. “You disturb the neighborhood…Noise pollution can be abated anytime because it is a nuisance. A barangay captain or mayor or governor or the police can stop it immediately. No need for a court order because that is a nuisance which can be summarily stopped,” Duterte explained.